Here’s the Best of the Fest! Savvy Cool Curds is all about celebrating Canadian artisan cheese and so it’s only fitting to pay homage to my favourite event of summer, The Great Canadian Cheese Festival (#TGCCF). The first weekend of June every year, thousands of die-hard cheese fans flock to Prince Edward County to partake in the largest cheesy party in Canada. This month’s Savvy Cool Curds showcases a selection of hard to find cheeses sourced from the festival, ripe and ready for you to enjoy, best paired with fun in the sun summer activities. Flipping for more fabulous cheese festival flavours? The Great Canadian Cheese Festival, going into its 7th year, is the one place every summer the cheese industry and consumers alike come gather in a celebration of all things Canadian cheese. I’m proud of my good friend, founder and Festival Director, Georgs Kolesnikovs (aka the Big Cheese in photo below) has managed to stay true to the roots of it’s inception in showcasing the very best of Canadian artisan cheese by profiling only cheese producers who use 100% pure Canadian milk, and no additives or modified milk ingredients. The festival is not only a food or cheese show, it’s hugely important as the glue that binds the Canadian artisan cheese industry, breaking down barriers between provinces, encouraging new relationships, and the inclusiveness of both larger and smaller producers as well as all milk types (cow, goat, sheep and water buffalo) in support of Canadian producers. #TGCCF is a not-to-miss event on my summer list, having been a presenter, party host, judge, cheese cutter, media personality, MC, and overall go to cheese gal for whatever helping hands have been needed over the years. Earlier this summer, June 4-5 in Picton, Prince Edward County, the quiet quaint Crystal Palace and Picton Fairgrounds turned into the wildest cheese party in Canada, as over 5300 cheese lovers gathered to make merry over Canadian cheese. Cheesemakers love it because visitors are true cheese fans. Well educated on the merits of artisan cheese, they come armed with a list, detailed notes & rolling coolers to take home their treasures. Attendees love it because they have a chance to meet makers and artisan producers and discover new favorites. Over 130 exhibitors and vendors showcased their wares to taste and buy. 150 different types and styles of Canadian cheese from coast to coast were found: water buffalo aisago, a wide variety and ages of gouda, more ooey gooey soft cheeses than you can imagine, fabulous tasty cheddars and many beaudacious blues to name a few. Hundreds of artisan food products that go with cheese were discovered: jams, jellies, chutneys, kimchi, pickled everything, charcuterie, cookies, chocolate, honey, salsas, local sodas, crackers, shortbread, olive oil, preserves, condiments of all kinds, and even ice syrup. Also things to add wow to your cheese presentation like live edge boards in a variety of woods, handcrafted boards, and unique serving utensils. And, not to mention the artisan wine, craft beer and cider selections! From Jamie Kennedy’s farm to table dinner, the grilled cheese chowdown, St. Albert’s free cheese curd giveaways, water buffalo rides, profiled cheese award winners, the Saturday Raclette rave party, free Dairy Farmer’s of Canada seminars, tutored tastings, celebrity chef cook-off’s, dairy farm displays, food court and local tours there is much to see and do over the weekend as you explore Prince Edward County and take in the festivities. Never been to the festival? Crack open this month’s Savvy Cool Curds grab your preferred summer sipping wine, beer or cider and settle into a lazy reading spot. My Best of the Fest blog post will whet your appetite and the Best of Show Guide with my top 10 notable noshes will make you wish that the 2017 festival was here already. Save the date June 3-4, 2017. Any cheese lover worth their curd knows it’s THE place to be the first Saturday in June. Savvy Cool Curds subscribers get VIP treatment. “Canadiana” is a familiar term to all of us, referring to things related to the country of Canada. Black River Cheese (recently purchased by Gay Lea) gives a taste of Canadiana as one of the regions oldest farmer-owned dairy co-operatives with over 100 years of cheesemaking experience to their credit. Tasting Notes: Black River’s Honey Cheddar cheese is sunny medium cheddar that has been naturally aged (meaning it sits in an aging room for a length of time vs. fake additive flavoring that makes a cheese taste aged), accented with a splash of local honey to contrast a gentle sweetness against a mild salty finish. Suggested Pairing: Try it with sparkling summer bubbles or Rose. Shred on grilled veggies or grilled/roasted summer fruit (think plums, peaches, strawberries). The idea for Black River Cheese Maple Cheddar was born in 2003 to coincide with local Prince Edward County festival “Maple in the County”. Cheddar is naturally aged for 5-8 months, shredded, mixed with local Fosterholm Farms pure amber Maple Syrup and Maple Sugar, pressed into hoops & then cut into blocks and packaged. Suggested Pairing: Enjoy with a local microbrew or cider. Add to a burger for a surprise flavor twist. Bake into dessert pastries. One of Ontario’s newest “cheeses on the scene”, Stonetown Cheese’s Homecoming is already making headlines as a finalist in the “Best New Cheese” category at the Canadian Cheese Awards. I love the quote on their website “Life is great, cheese makes it better”. We wholeheartedly agree! Suggested Pairing: Great as a summer picnic snacking cheese, pair with an unoaked Chardonnay or Semillon. Fromagerie du Champ a la Meule, located in the south central region of Quebec, pays tribute to the founders who once ran the farm, with Victor et Berthold de Reservé; affiné (cheese speak for aged) an extra 40 days to intensify the flavor. Tasting Notes: Victor et Berthold de Reservé has a gorgeous light copper-hued washed rind and smooth, bone-colored paste. Flavors are a mix of milk, cream and butter with a noticeable meaty texture on the palate and slight bite on the finish. Suggested Pairing: Appreciate on a summer-grilled cheese with smoky bacon and freshly sliced beefsteak tomatoes. Pair with a light hoppy beer. Also works well with a dollop of Indian Chutney or stone fruit marmalade. New blue on the block Rebellion 1837 is named for those who love bold blue cheeses, and those who are considered just that, a little rebellious, after Louis-Joseph Papineau who led as Chef of the Patriots during the famous Quebec rebellion of 1837-38.
y aromas with big ‘shroomy flavor and a light balance of salt. Delish! Suggested Pairing: Pair with a Canadian Ice Cider or Sparkling Ice Cider. Enjoy crumbled on fresh summer greens or atop a sizzling rib eye steak, right off the grill! Preheat the oven to 375F. Line a baking sheet with either parchment paper or with a silicone-baking mat. Fold in the cheddar cheese until they are well distributed in the dough. Pour in the buttermilk and stir until the ingredients are wet. Use a ¼-measuring cup to scoop each serving of dough. Place the dough onto the prepared baking sheet. 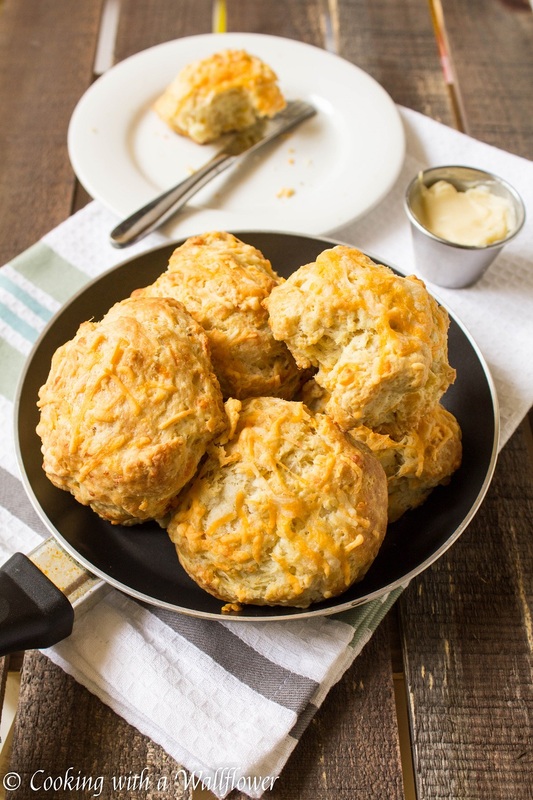 Once the biscuits are done, allow to cool for a few minutes before serving them with the honey butter. Preheat grill or a cast iron skillet to high. Divide the beef into 8 (4-ounce) burgers. Season on both sides with salt and pepper, to taste. Grill or cook in the skillet for 3 to 4 minutes on each side for medium-rare doneness. During last minutes of cooking add 2 slices of cheese to each burger, cover grill and let melt, approximately 1 minute. Place burger on bun and top with Horseradish Mustard, lettuce, Grilled Vidalia Onions, pickles and ketchup. Whisk mustard and horseradish together in a small bowl. Brush olive oil on both sides of the onions and season with salt and pepper. Grill the onion slices for 3 to 4 minutes on each side until golden brown. Use 2 ready-made puff pastry sheets and place in 8″ pie shell. Cut to size of pie shell and poke the base with a fork. Put whipping cream and eggs into a bowl, mix well. Add cheeses, cornstarch, salt, pepper, paprika and nutmeg to bowl, stir. Vanessa adapted this recipe by adding a slice of Victor et Berthold de Reservé for a bit of extra flair! Heat a grill pan over medium-high heat. Grill the bread until golden brown, about 2 minutes per side. Peel the pears and slice them lengthwise into halves. With a small sharp paring knife and a melon baller, remove the core and seeds from each pear, leaving a round well for the filling. Trim a small slice away from the rounded sides of each pear half so that they will sit in the baking dish without wobbling. Toss the pears with some lemon juice to prevent them from turning brown. Arrange them, core side up, in a baking dish large enough to hold the pears snugly.